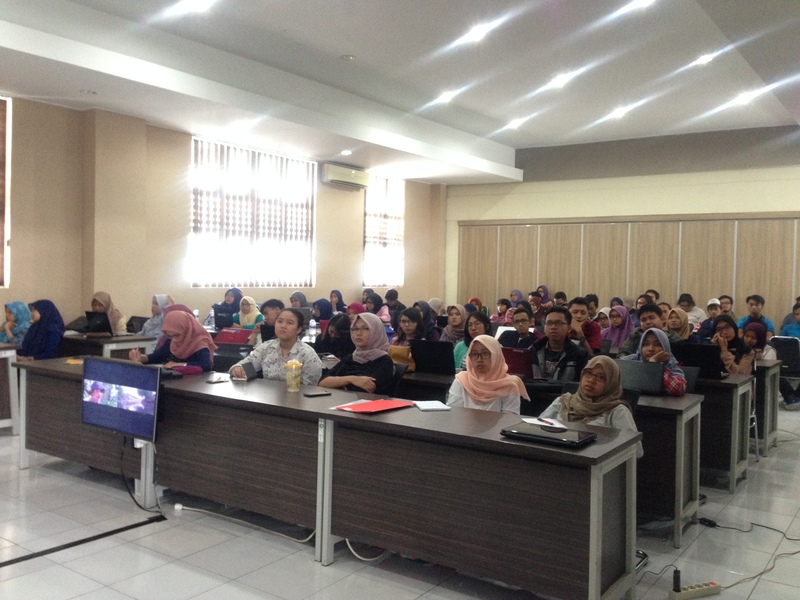 Continuing a series of lecture events held in collaboration with universities across Indonesia, on November 28th, 2017, Peta Bencana visited the Institut Teknologi Sepuluh Nopember (ITS) Surabaya. 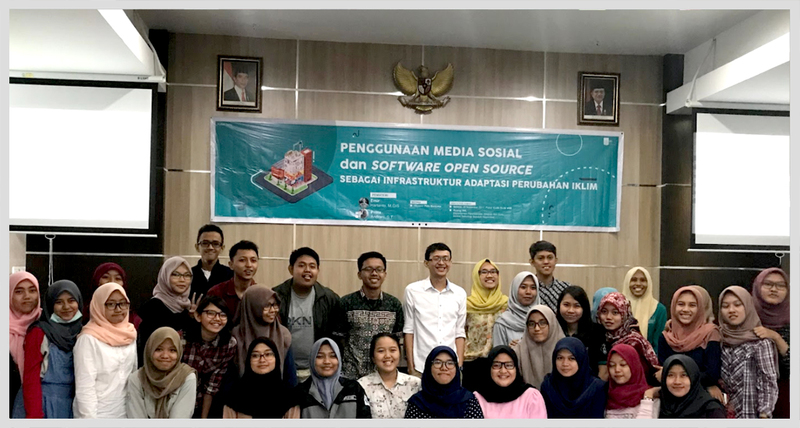 At the Department of Urban and Regional Planning, part of the Faculty of Design, Architecture, and Planning, 75 students (24 male and 41 female) attended PetaBencana’s lecture on the use of open source software for climate adaptation. We were warmly welcomed by Bapak Adjie Pamungkas, ST.,M.Dev.Plg.,Ph.D, Head of the Department of Urban and Regional Planning, and Bapak Mochamad Yusuf, ST, M.Sc., professor of Urban and Regional Planning. A screening of “The Same River Twice”, a documentary produced by PetaBencana that narrates the situation of Jakarta as a megacity struggling to adapt to climate change during the tropical monsoon season, prompted engaging conversations about information infrastructures for disaster events. Following an explanation of the development and use of PetaBencana.id within this context, students displayed optimism towards the platform and were excited to try the methods by which they could participate in crowdsourced disaster mapping through various social media channels and instant messaging applications. 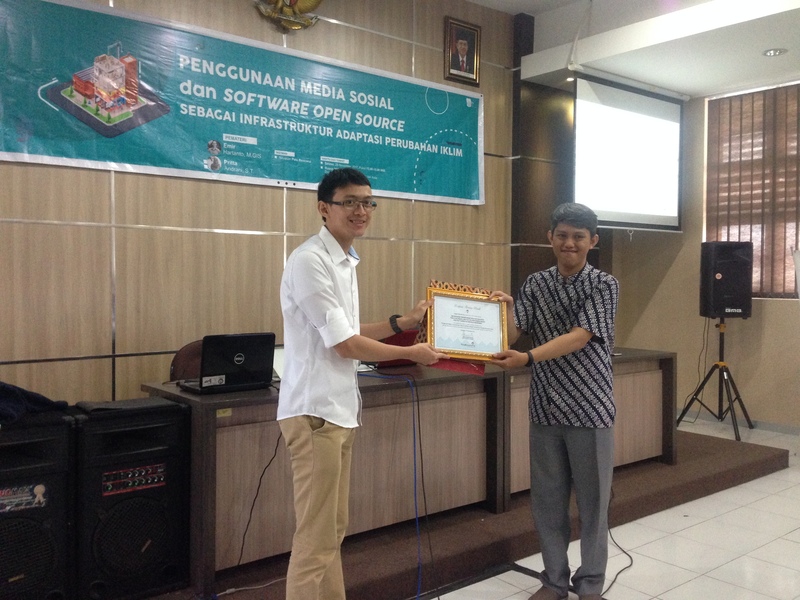 We were excited to see an enthusiastic uptake of the platform, as we continued to exchange ideas with students about the various ways by which PetaBencana.id, and the use of open source data, could be scaled and further optimized. Following a productive exchange of ideas, Peta Bencana and ITS have been actively discussing possibilities for future collaborations to support the development of open source software and open data to help the residents of mega-cities adapt to climate change.